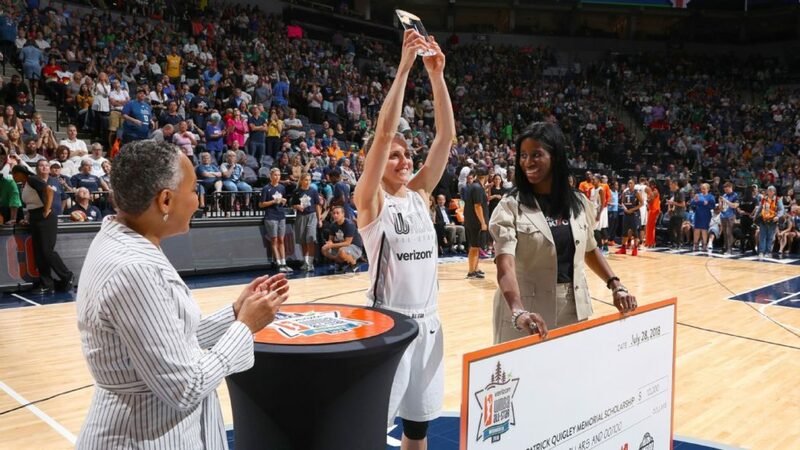 After winning the three-point contest at last year’s All-Star Game in Seattle, the question was what would the Chicago Sky’s Allie Quigley do for an encore. 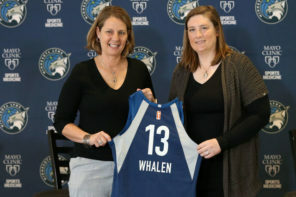 Quigley answered that question with a repeat championship performance as she took her second consecutive three-point contest trophy back with her to the Windy City. 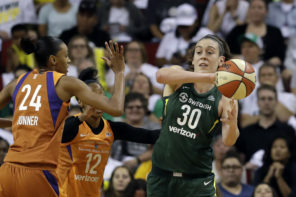 Quigley’s quest to her repeat title performance was not an easy one as she was given all she can handle courtesy of the Las Vegas Aces’ Kayla McBride. McBride and Quigley were the top two finishers after the first round which made the final a contest between Sin City and the Windy City. The Sky’s resident sharpshooter put up an 18 in the final round – only to see that diez y ocho tally matched by McBride in thrilling fashion. With both needing another sixty seconds to drain treys, Quigley brought back flashbacks of last year’s three-point contest final when she bested the New York Liberty’s Sugar Rodgers 27-19. She mustered a final round 29 score including going a perfect five-for-five from the moneyball rack. McBride gave it her best effort, but when all was said and done, her 21 fell short of Quigley’s 29. It was a little bit more interesting than I thought it was going to be with the tiebreaker, but so many good shooters in that group. I’m just really happy that I was able to get in the zone there and win it. Get in that zone, girl. I’m getting you as my trainer for real. I want to be able to splash a three like this one. 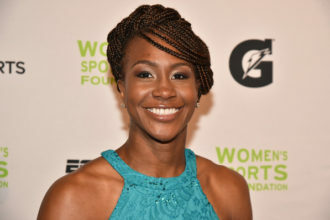 As was the case last year when Quigley won, a $10,000 donation was made to the Patrick Quigley Memorial Scholarship as part of a partnership between the WNBA and NBA.